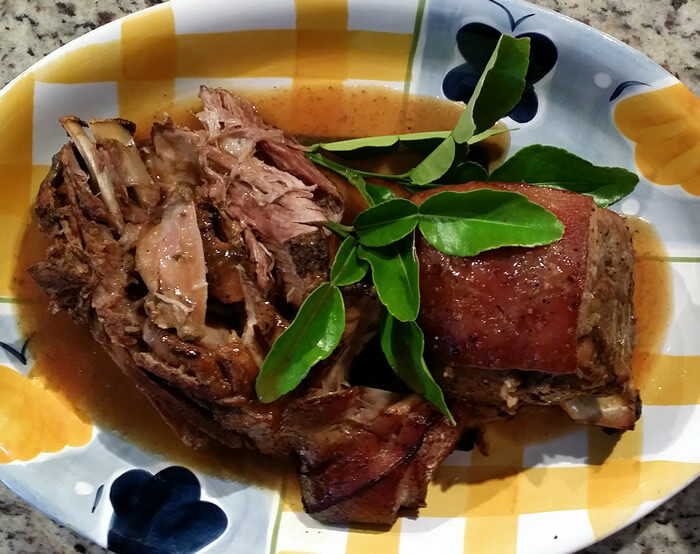 This recipe is easy to prepare and can cook away all day while you’re at work. 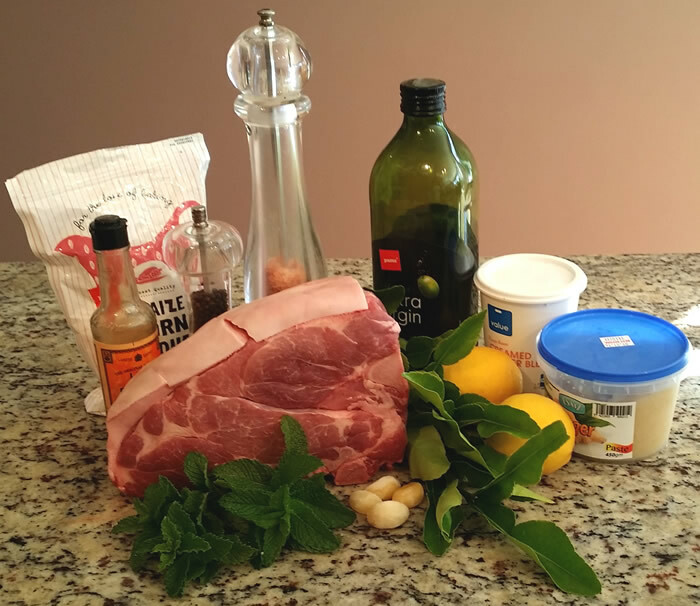 You can use a cheaper cut of pork as cooking it in the slow cooker will result in it falling off the bone. 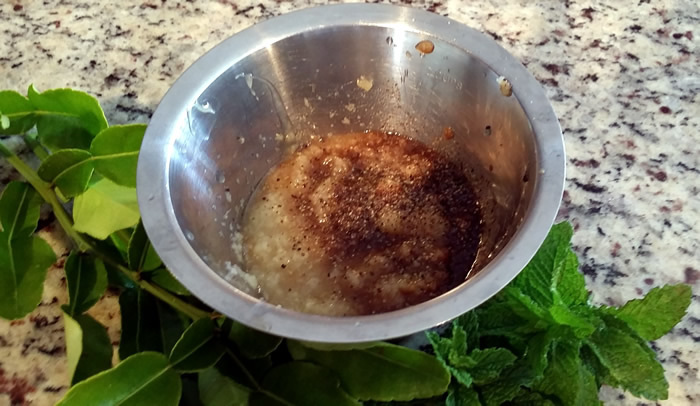 It is better to use fresh kaffir lime leaves, but if not you could substitute dried ones and I have cheated using ginger paste – fresh crushed ginger would be perfect. Heat oil in a large frypan, sprinkle pork liberally with salt and pepper and brown on all sides, particularly the skin. 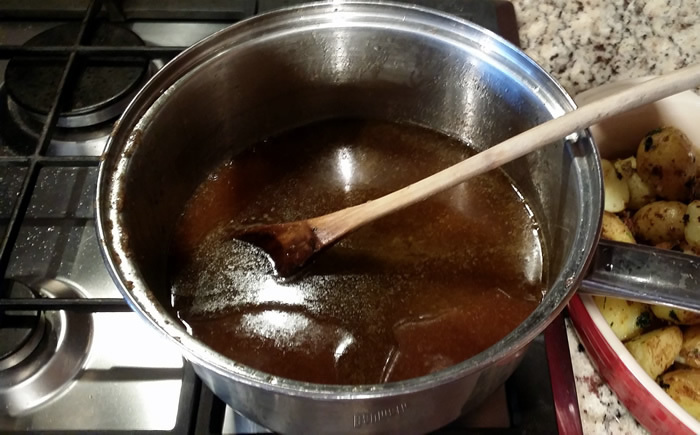 Mix ginger paste, lemon juice, garlic, honey, Worcestershire sauce and a good grinding of salt and pepper in a small bowl. 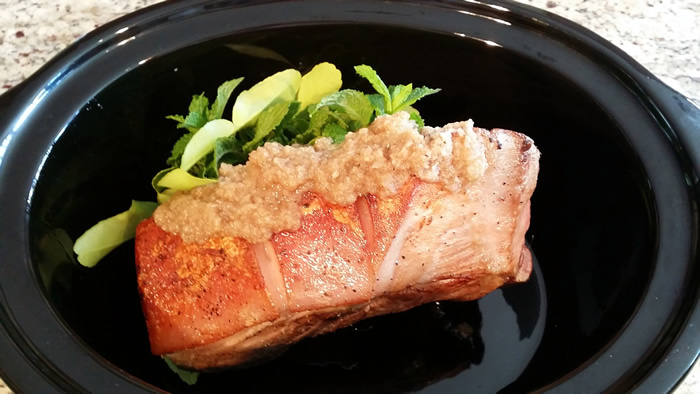 Place pork in the slow cooker with the kaffir lime leaves and min and spread the ginger mixture all over the pork. Cover and cook on low for 9 hours. Pour the juices from the slow cooker into a saucepan, reserving a little to mix with the cornflour. Heat up and stir in the cornflour until a smooth sauce consistency. 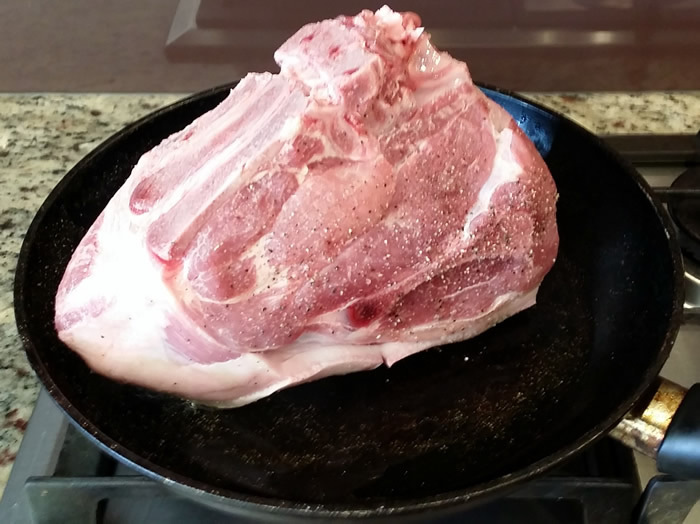 Place pork on a large serving plate and pour over some of a sauce and put the rest in a jug on the side.